When heading on a warm-weather vacation, you'll need sandals that are as easy to pack as they are to style. Gucci's versatile 'Marmont' pair is slender enough to fit inside a suitcase full of shorts, skirts and dresses. 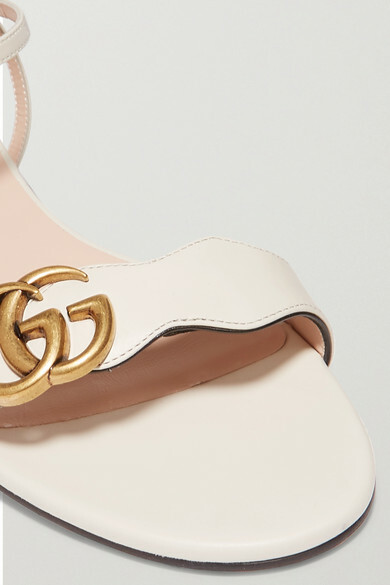 They're topped with wavy leather straps and feature the brand's signature 'GG' hardware.